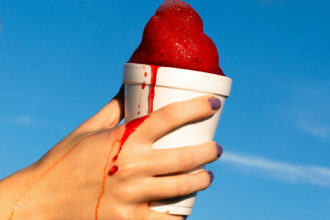 We mourn Aunt Stelle's Sno-Cones, but there are many other places to get your frozen fix this summer. 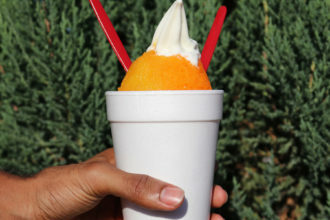 Aunt Stelle’s Sno-Cones, which had been serving icy treats since May of 1962 on a leafy residential Oak Cliff street, closed earlier this year. No more Pink Ladies in primary-colored Solo cups. No more creative combos of chocolate and Tutti Frutti or Piña Colada and Pop Eye. Yes, we’re devastated. But thankfully there’s no shortage of syrupy sweets to be found around town. Beat the heat with these refreshing alternatives. 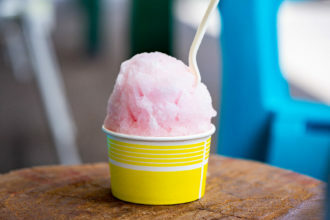 George Rubio serves powdery, NOLA-style sno-balls with natural flavors and creative toppings at this sit-down spot. Creative flavors—made from coffee, tea, and seasonal fruits—include rhubarb, orange blossom lemonade, matcha, Vietnamese coffee, and cardamom coconut cream. 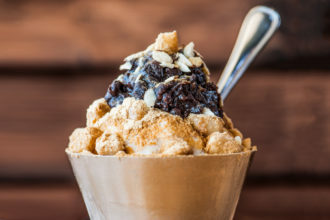 Bingsu is a lightly sweetened milk ice that is as delicate as freshly fallen snow. Mounds come topped with mochi, sweetened red bean paste, or fresh mango and strawberries. Thinly shaved sheets of flavored ice are topped with fresh fruit, nuts, and/or sprinkles, and then drizzled with sweetened condensed milk. 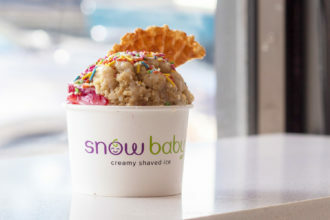 Options range from Sno Ice (shaved ice cream) and shaved ice to frozen Waffle Pops and crepes. 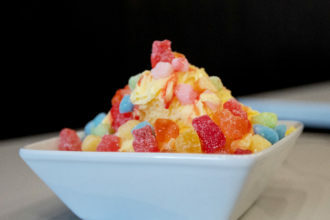 Toppings include boba tapioca pearls and drizzles of flavored syrups, caramel, or honey.